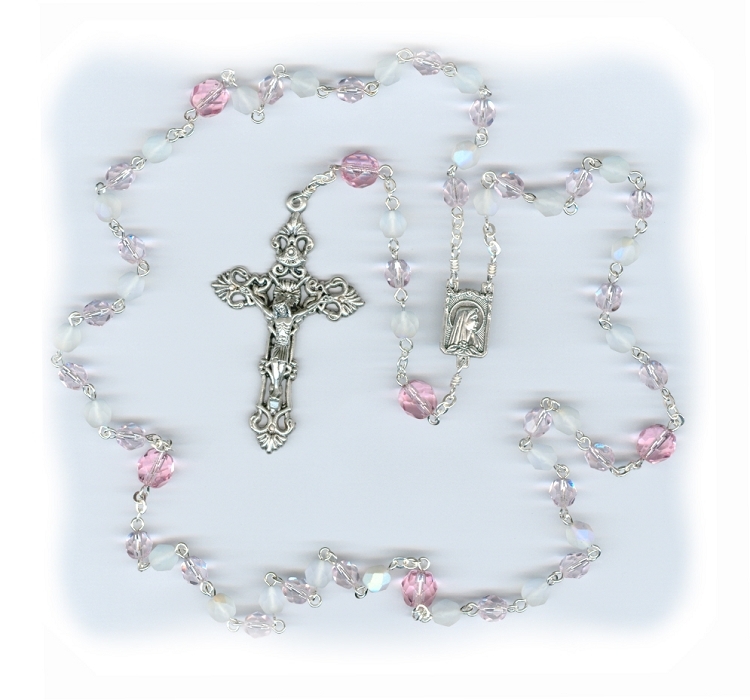 This is my pink Czech glass October Birthstone rosary. Although this rosary is made using Czech glass, the traditional birthstone for October is the Tourmaline (and recently added: Opal). The amazing thing about tourmaline is the variety of colors. Even though pink is the traditional October birthstone color, this stone comes in every color of the rainbow including a beautiful green often confused with Emerald. Opals also have a large color variance, but the white, off white or pink colors seem to be more common.